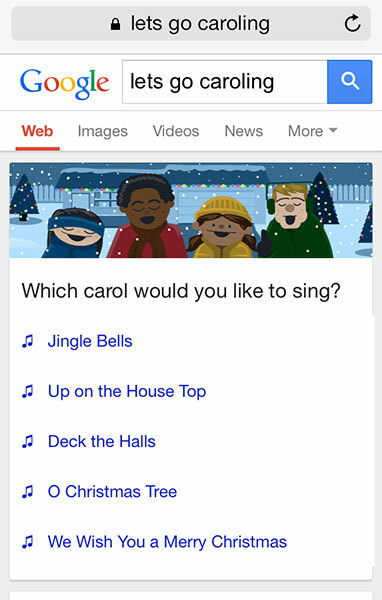 Using your iOS or Android device, 'Google' "Let's go Caroling" where you will be asked "Which Carol would you like to sing? You have a choice of five different Christmas Carols to choose from for your very own Christmas Karaoke!! Comments to "Sing a Christmas Carol with Google on iOS or Android"